This option is to download work order. Click the below button and access PDF form to download, print and fillout. 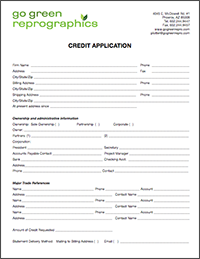 This option sets up a credit application with gogreen reprographic. 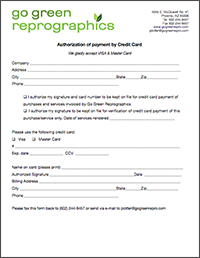 This option sets up a credit card authorization with gogreen reprographic.